You might need credit more than you think. 3. Is It Better to Make Payments or Pay Cash for a Car? With credit card debt and student loans swamping many people financially -- even those with reliable incomes -- it’s not a bad idea to consider the advantages and disadvantage of spending with cash vs. plastic. A mix of both is probably the best route to build good credit while living within your means. Understanding some of the basic pros and cons of each will help you make the right choices for you. You don’t need to pull dollars out of your wallet or purse to make cash payments. Debit cards, PayPal, checks, money orders and online bank transfers give you multiple options for using cash. Credit comes in the form of bankcards, mortgages and payday, student, auto and home equity loans. Using cash helps you avoid overspending. It’s easy to make impulse purchases when you don’t see cold, hard cash leaving your hands. The more you use cash, the more you might restrain yourself, especially if you track your bank balance consistently. When you pay cash, you might pay less for your purchases, such as in situations where merchants add more to use a card or if you carry a balance and pay interest on the purchase. Many businesses don’t take cash or accept cash transactions, limiting your purchasing power. This is especially true when you’re looking to make online purchases, because not all Internet merchants accept bank drafts, debit cards or PayPal. If you carry large amounts of cash, you're susceptible to big losses if you misplace the money or, even worse, if you're robbed. When you use credit, you build a credit history, which can help when you need to make large purchases and secure loans in the future. Managing your credit responsibly helps you build a high score that can help you get auto loans or mortgages, credit cards and lower interest rates. Some credit cards offer reward points when you use the card. If you don’t carry a balance that generates interest that outweighs the value of the rewards, you might come out ahead on the deal. For example, if you charge enough each month and pay your balance monthly, you can earn airline tickets that cost you nothing, since you paid no interest. Credit comes with a variety of potential problems that can damage your financial future. Late or missed payments and overcharging with a credit card can lead to penalties, increased interest rates and derogatory reports sent to the credit reporting agencies. This can result in lower credit scores, difficulty in getting future credit or higher interest rates when you are able to get credit. As credit amounts rise, so does the interest you pay. When interest payments cost you thousands each year, you can have difficulty meeting your payments and reducing your debt, and retire with significantly less money in your IRA, 401(k) or other savings plans. With more sophisticated computer hacking occurring each year, using credit cards opens you up to identity theft. Even if you aren’t liable for purchases made by a thief, the time it takes to solve the situation can take weeks. 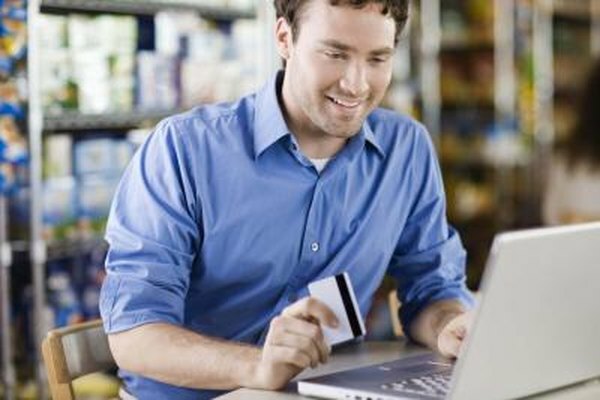 MSN Money: Should You Pay With Credit or Cash?